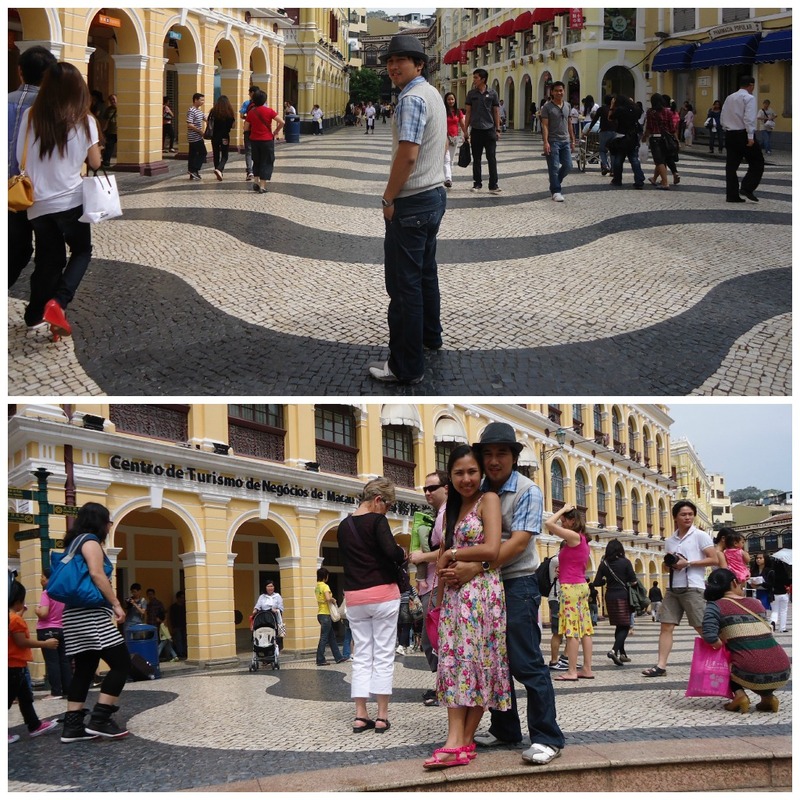 I have always been fascinated with Macau ever since I saw a friend's travel photos. 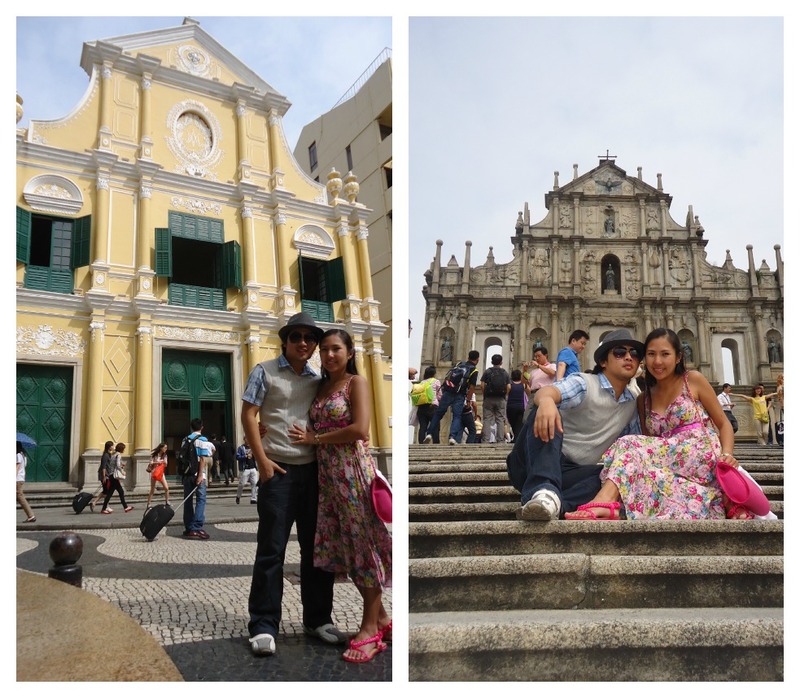 Since Ed and I had extra days left on our vacation, we included travelling to Macau on our Honeymoon trip. Another wish on my bucket list was granted! Here's how we explored Macau in 24 hours without a tour guide. 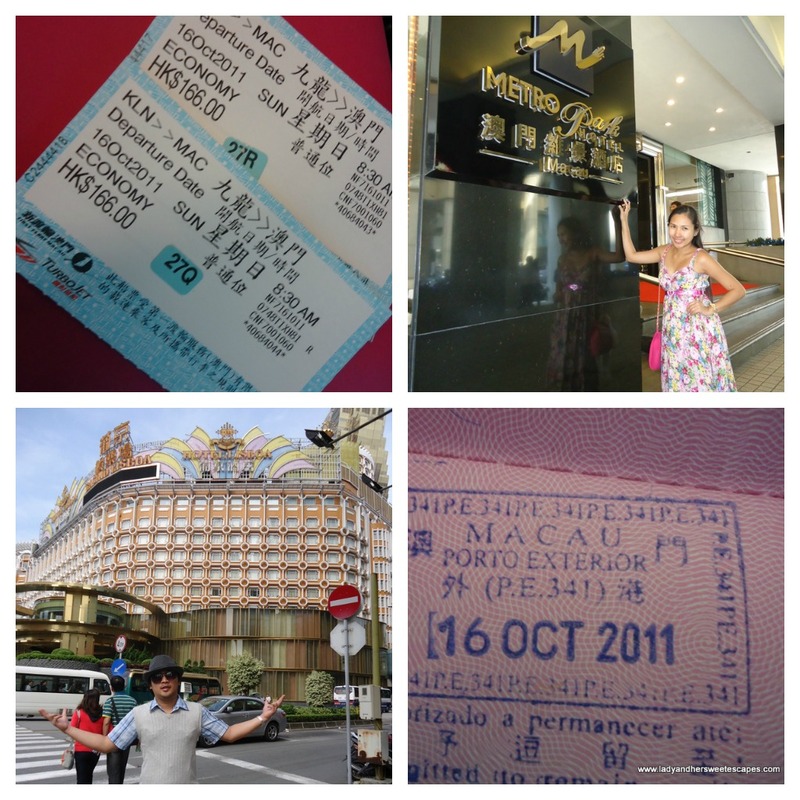 We took Turbojet's 8:30 am trip at China Ferry Terminal in Hong Kong and arrived in Macau an hour after. 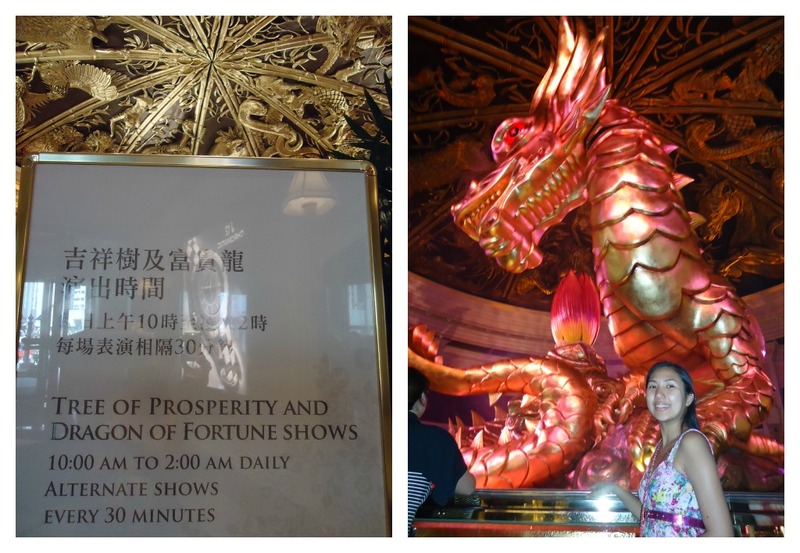 Two months before our trip, we found a perfect Macau Hotel that fits our budget. We booked an overnight stay at Metro Park Hotel. We got an early-bird discount of 15% and a free shuttle service from the port to the hotel. To help us on our unguided tour, I asked for free maps from the concierge. Right after we checked in, we started our adventure to Senado Square. There are public buses available, but we preferred to walk and do some sight-seeing along the way instead. We passed by casinos in different shapes and sizes. The golden Grand Lisboa looks majestic and unique. Wynn Hotel looks grand even in daylight! After 15 minutes of walking, we were finally on a pebbled pavement, a sign that we have arrived in Senado Square. At 11 in the morning, Senado Square was already full of tourists. 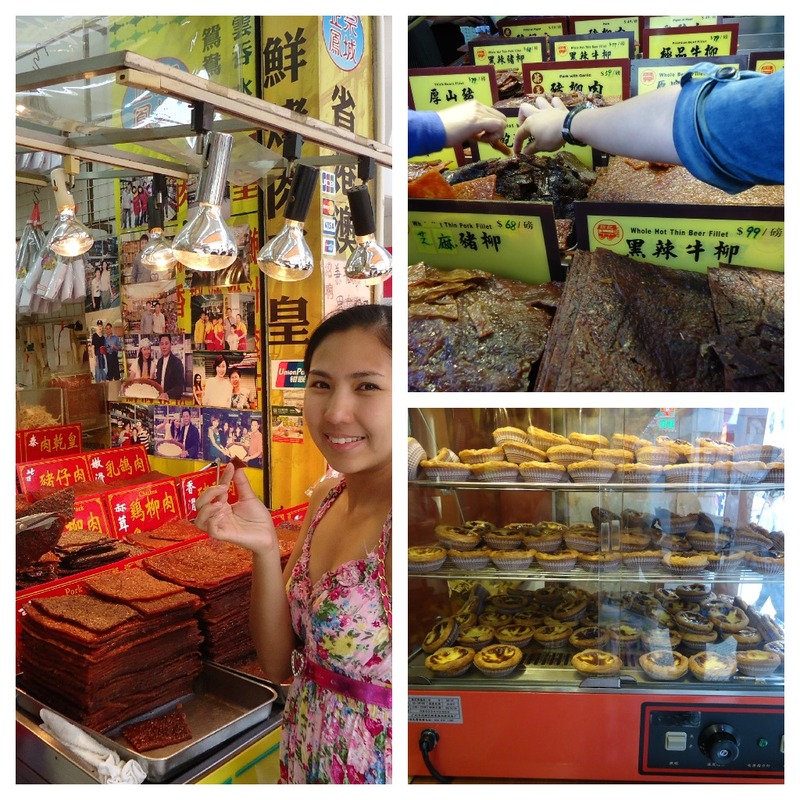 They were mostly in food stalls buying the famous Macau's beef jerky. We never bought a piece, but we were able to try all types of jerky that morning because most of the stalls offered free tastes. When it comes to food, another best-seller in Macau is the egg tart. There's no free taste for it, but it is affordable. I love tarts, so we bought 4 pieces and ate everything right then and there. Egg tarts are best eaten when hot and fresh out the oven! Aside from feasting on Senado Square's streetfood, we also had an early lunch in a restaurant with Macanese cuisine. On our journey at Senado Square's pebbled path, we passed by St. Dominic's Church. After a few minutes, we reached The Ruins of St. Paul. It was nice to see well-preserved historical buildings in the midst of modern architecture. 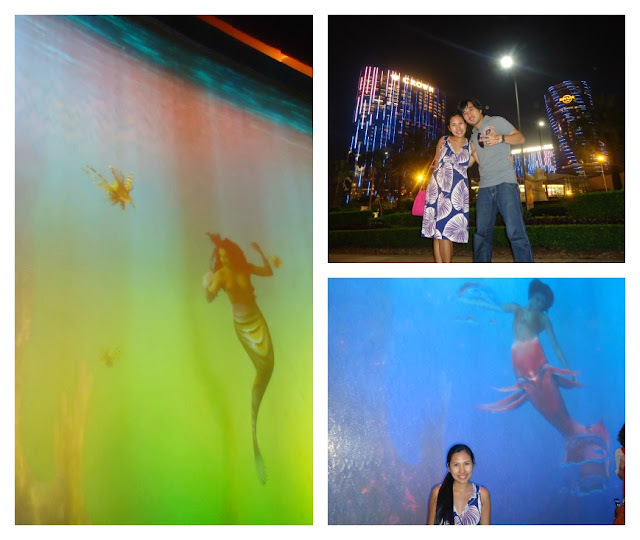 On our way back to our hotel, we passed by Wynn Casino and Hotel to watch the free shows. There are two shows at Wynn, the Tree of Prosperity and the Dragon of Fortune. Shows start at 10am until 2am daily, alternately every 30 minutes. My husband, Ed, has his own bucket list. Doing a bungee jump is on it. I know it's crazy and expensive, but as a very supportive wife, I let him fulfill his life-long dream. 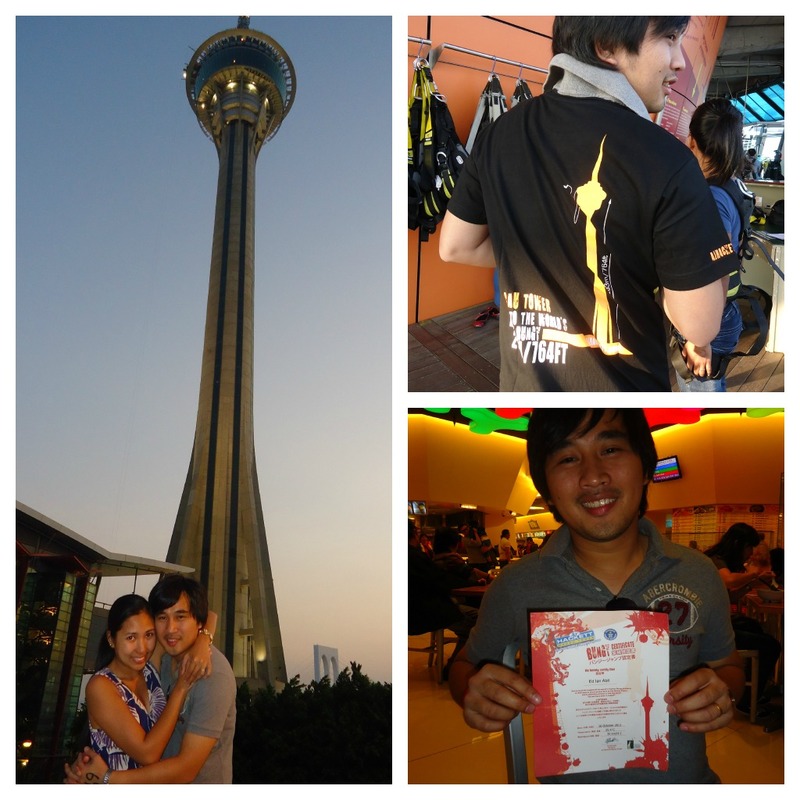 That''s Macau Tower behind us (photo in the left) and Ed showing off his Bungee certificate (bottom right)! After Ed jumped off the world's highest commercial bungee, we continued our tour. Since most of the Casinos are offering free shuttle service around Macau, we took profit of it. We waited for City of Dreams' free shuttle at Macau Tower. 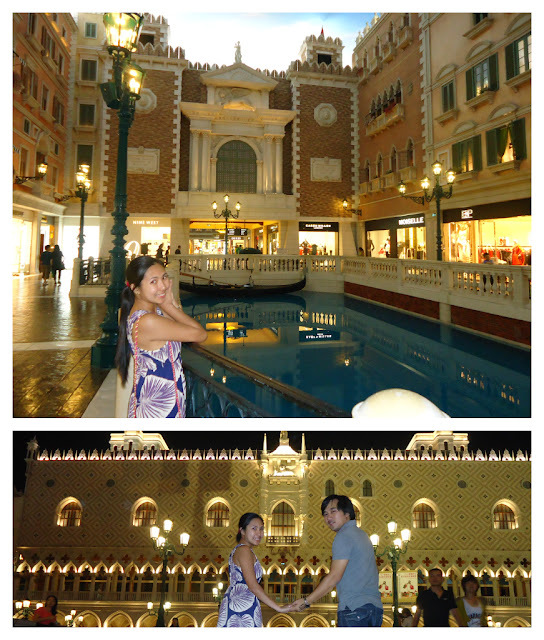 City of Dreams is located near other well-known casinos, like The Venetian and Galaxy. 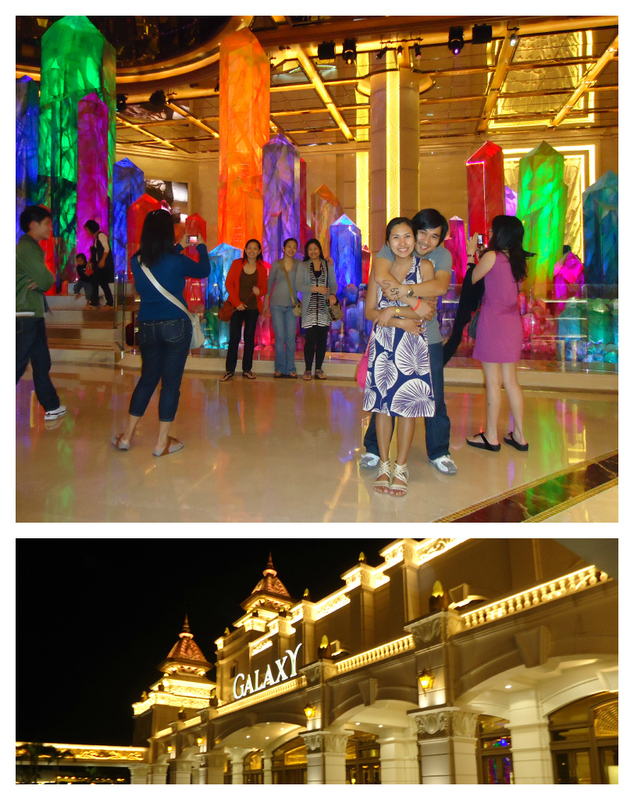 We are not into gambling, so we just watched free shows in awe and took a lot of photos at every well-designed spots. Going back to our hotel, we rode the Galaxy's free shuttle bus to Lisboa and walked a few minutes. The morning after, we woke up early for breakfast and packed up in rush. At 8:00 AM, we still had enough time to visit other tourist spots before our scheduled ferry trip to Hong Kong. Instead of waiting for the hotel's free shuttle, we took the public bus to the Fisherman's Wharf. Another must-see in Macau is the Fisherman's Wharf. It is a complex of shops, restaurants and hotels with different themes. The most striking is the Roman Colosseum where we felt like we were taken to Italy and back. The ferry port is near the area, we walked for about 10 minutes and arrived just in time for our trip back to Hong Kong. * You can leave your heavy luggage at your hotel in Hong Kong for a fee. * The currency of Macau is "Pataca". Most shops and hotels in Macau accept Hong Kong Dollars, but you cannot use Pataca in Hong Kong . * You can also have a tour in Macau for 12 hours or less. Most of my friends went to Macau in the morning and returned to Hong Kong late in the evening. Very nice photos and experience. I guess I am a bit of jealous. :) I hope I can visit Macau and have my vacation there. Thanks for the tips also. Thanks Joan! 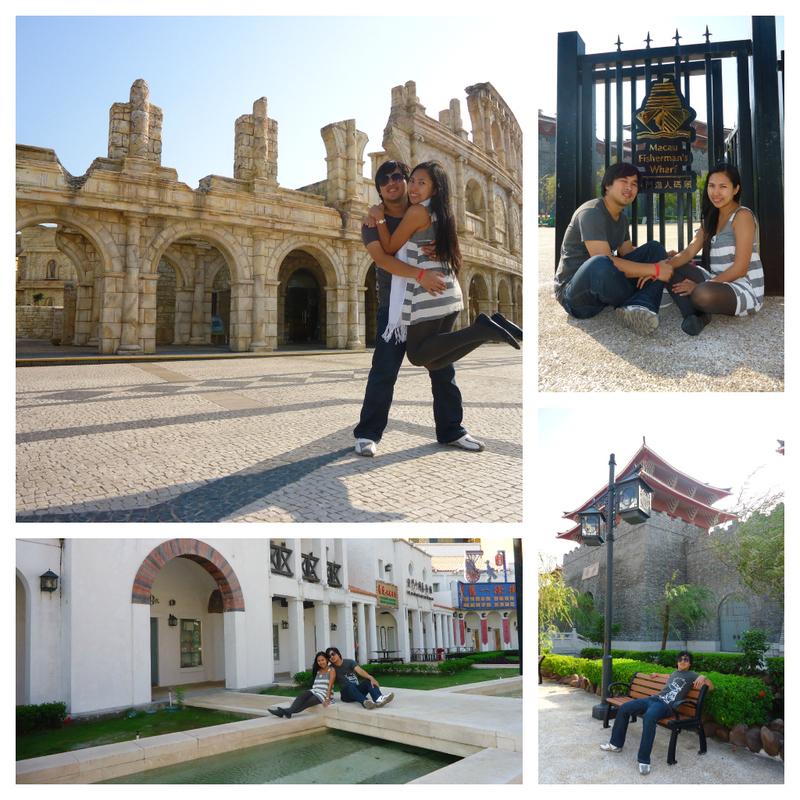 :) I think it's time for you to plan your trip to Macau! I hope the tips can help you. Beautiful pix. I want to go there too! Great tips!